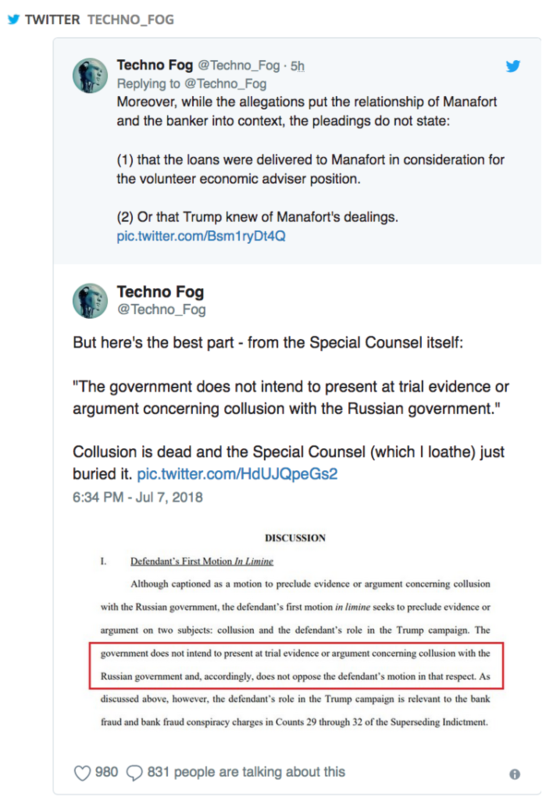 In regards to Paul Manafort’s case, Special Counsel Robert Mueller is no longer looking into Russian collusion, but instead possible bank and wire fraud committed by Manafort. 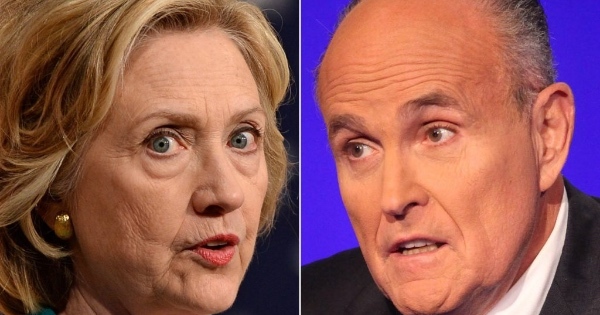 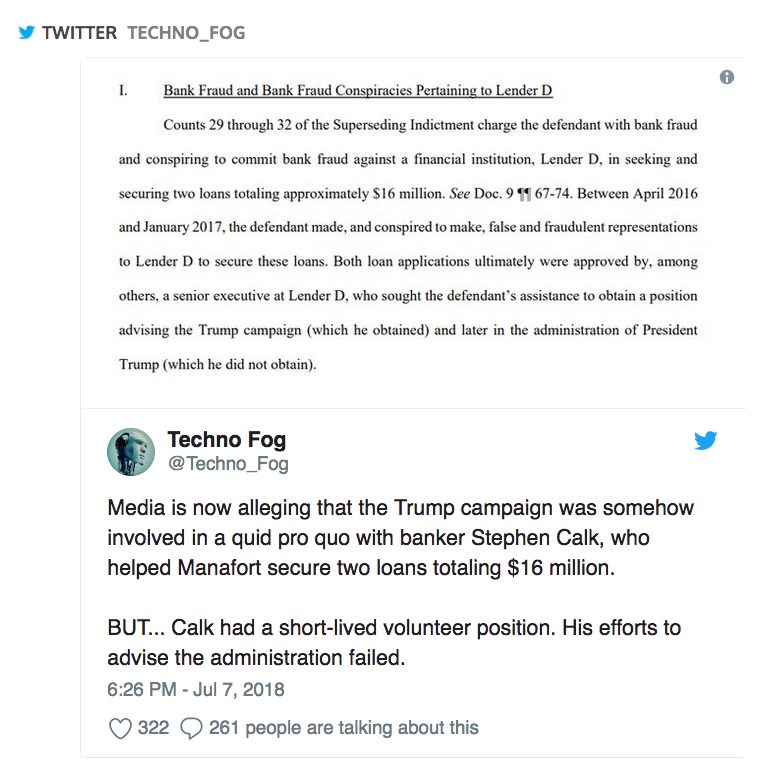 In addition, court records show that the media is trying to involve the Trump campaign in a quid pro quo with banker Stephen Calk for $16 million. 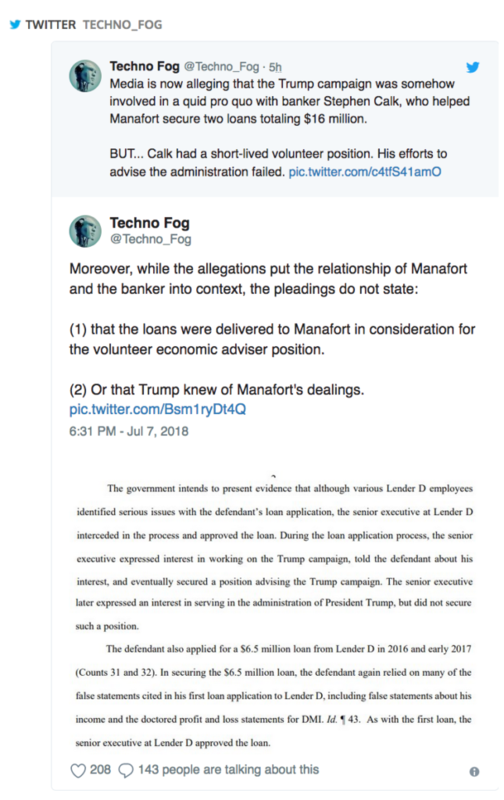 Calk got a volunteer position within the Trump campaign, but there was no proof he got the position because of the loan made to Manafort. 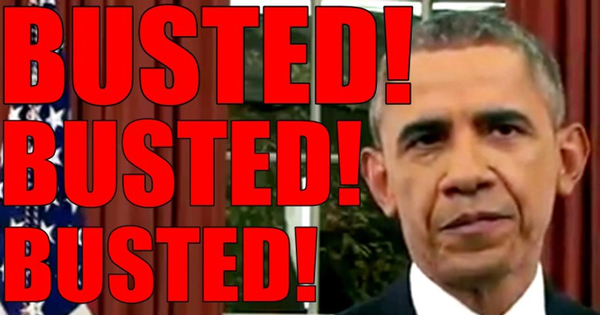 Calk efforts to be an economic adviser the Trump Administration failed. 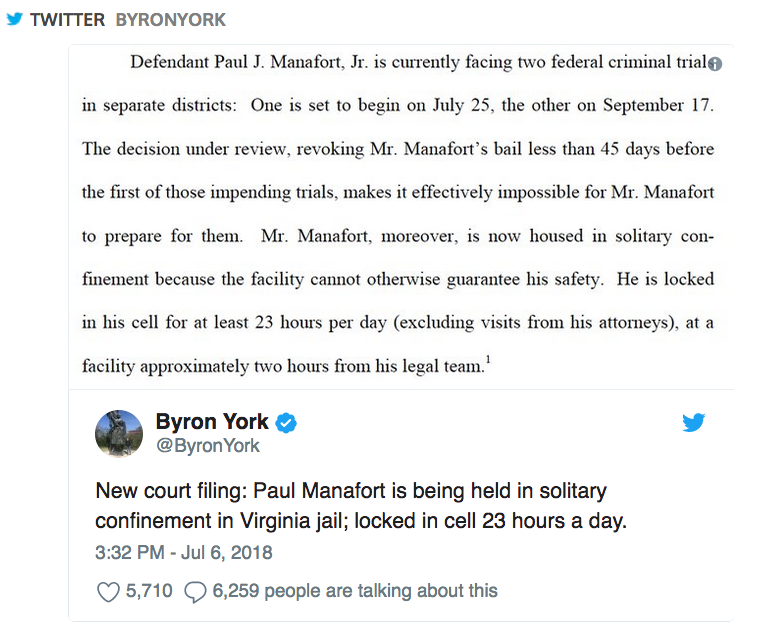 Manafort is currently locked up for 23 hours a day in solitary confinement.